I love Christmas. I also love Christmas sweaters. Some are meant to be funny and over the top. Others are just meant to be cute and warm. 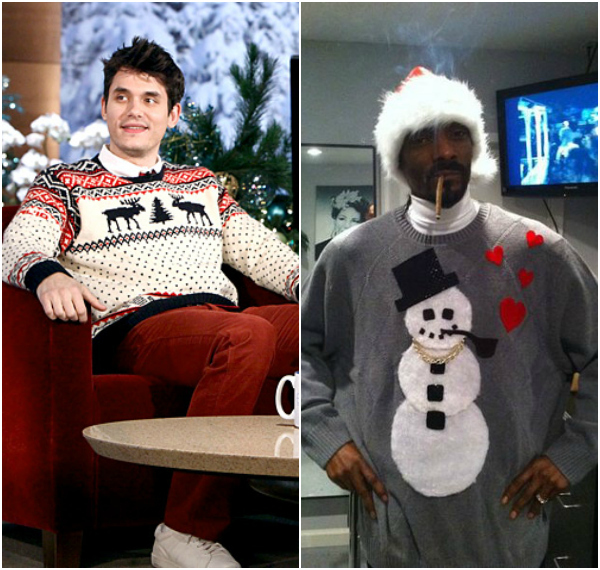 Here are some celebrities sporting their favorite holiday gear. 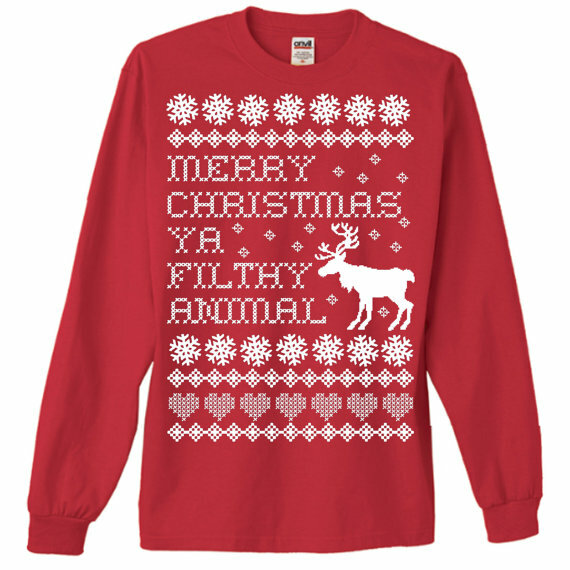 I don't currently own a fun holiday top, but I will have this one in my possession very soon. I mean, who doesn't love a good Home Alone reference? LOVE the Home Alone one, that made me laugh out loud...you can't beat it, no! Is that really Jessica Simpson, I wouldn't have recognised her? I seriously want Rose McGowan's sweater. John Mayer's too. LC - WIN! I love hers. Rose is a WIN but her face is a LOSS... eek! 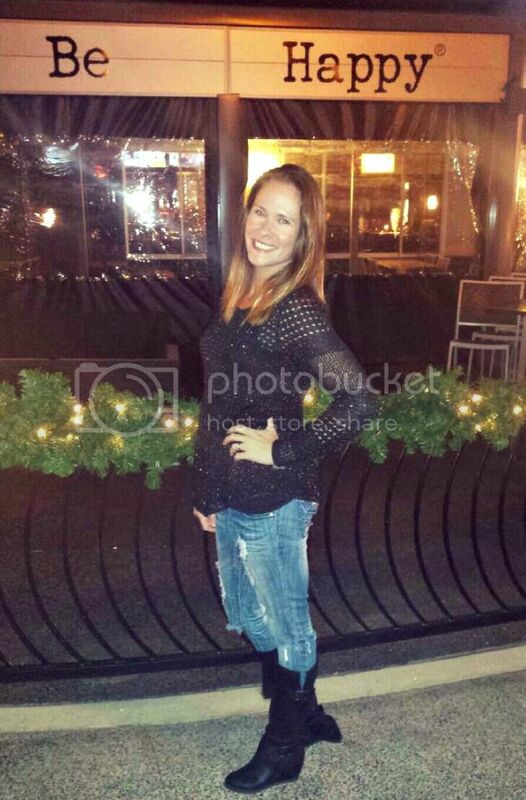 Stop doing stuff to your face woman! Jessica - WIN ALL DAY LONG! I love it! PARIS - always a loose. ICK! 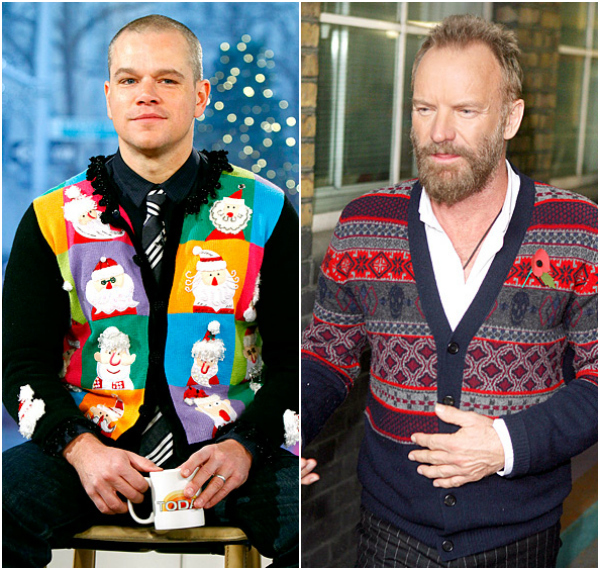 Matt Damon gets the Kitch factor and Sting looks classic. WIN. 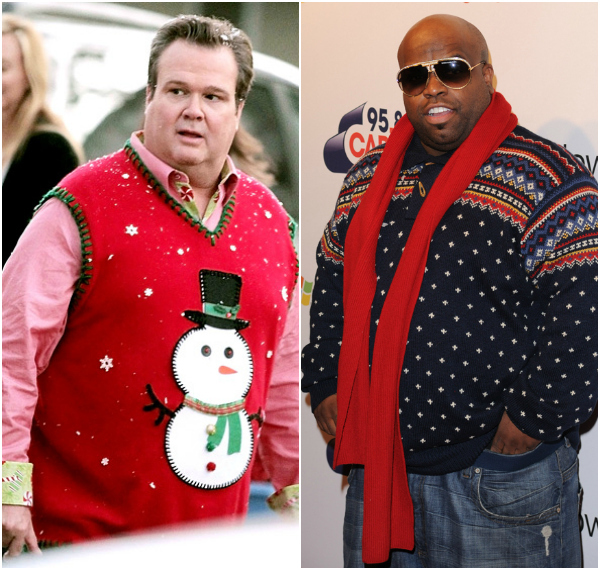 Eric and CeeLo - both win! Kanye, he's always a loose for me... can't stand him . Ellie and David - perfect! And your choice, mega awesome I want it so bad! I need one for the party I'm going to in a week or so! 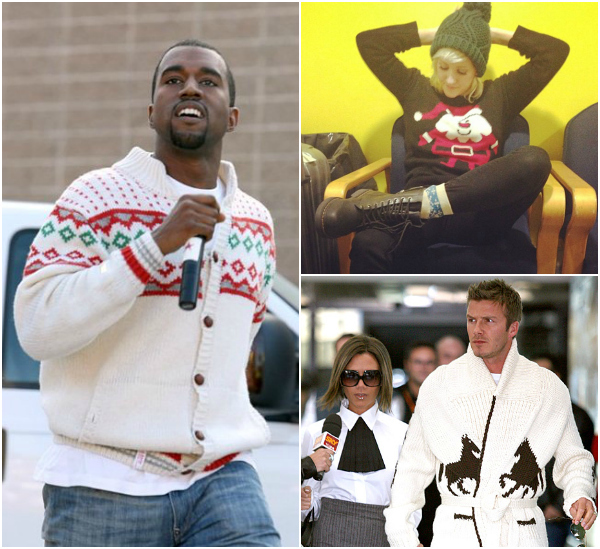 I so love Christmas sweaters, great choices of celebs. OMG, that Matt Damon pic is TOO much! The Matt Damon pic is hilarious!